Location Location! Close to shopping and highway, university & minutes to the train station. This beautifully updated Cross Point condo straight out of HG TV!! 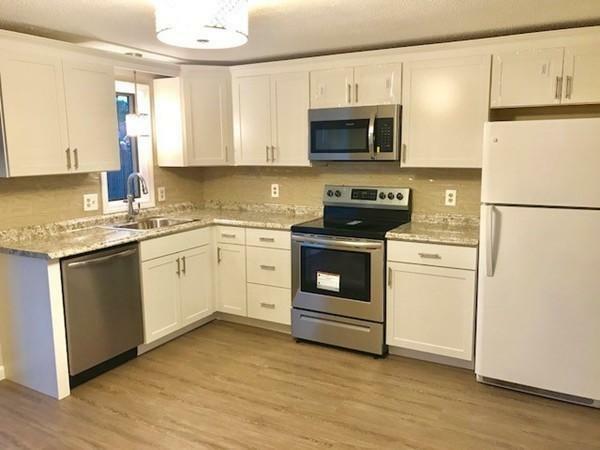 Freshly painted, Brand new kitchen with tiled back splash, stainless appliances, all new flooring throughout, New Bath with tiled surround, new vanity, sink & lighting. New wall unit A/C & hot water tank less than a year old. Stackable washer dryer, New blinds. NOTHING TO DO BUT MOVE IN! This unit won’t last!